You can change material on all faces within the selection, including all sub-components. The drop-down list contains alternative materials found in the BoxUp materials folder, that includes the tag from the face. Cost/pricing is updated for the component(s). The alternative materials don’t have to be loaded in the model. Tags can be assigned to components, materials and faces. Tags are case-sensitive. When clicking on the tag-box a drop-down list will show currently tags used in the model. New tags can be added by typing in the tags-box. 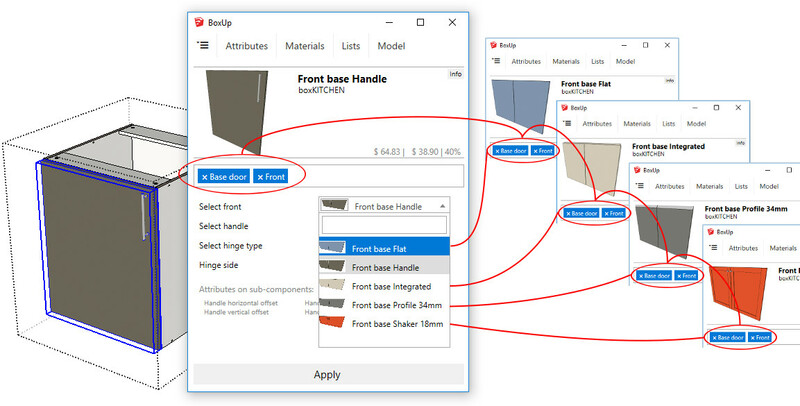 Material tags are used to link component faces to material tags, you can think of it like grouping faces so you can do bulk material changes. 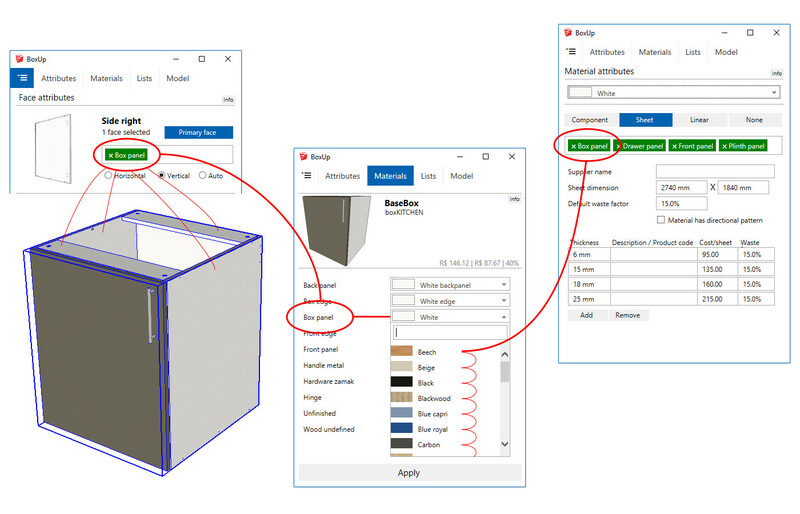 Use ‘Materials’ to change materials bulk for any selected components. When using the SWAPCOMPONENT DC function and a selector attribute, a list of alternative components will show in the drop-down list. The list contains all components found in the BoxUp collections folder, with matching tags. Alternative components don’t have to be loaded in the model.